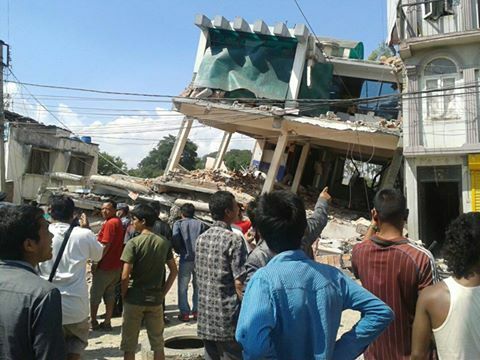 After the first earthquake on 25th April, Nepal was shown in the media all over the world. 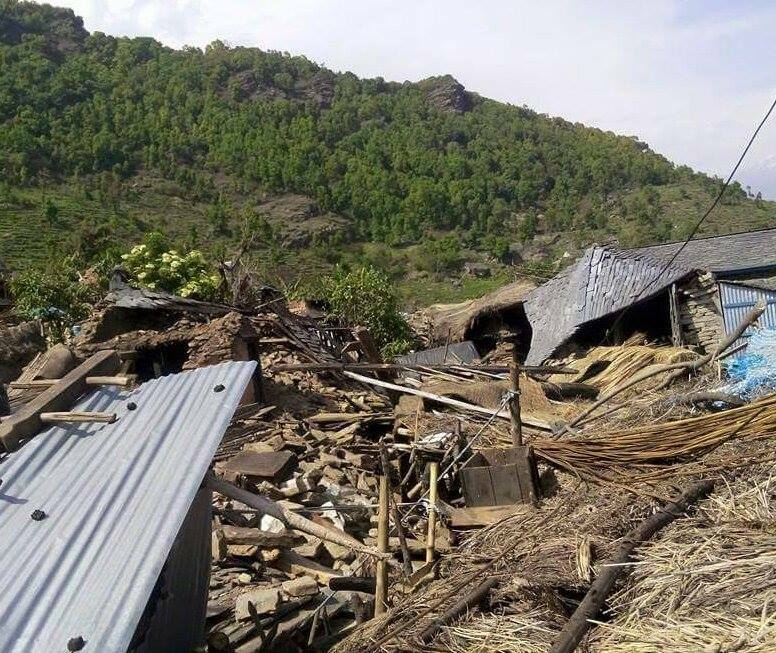 We could see the damage of Kathmandu and the villages, screaming people running around with their babys in the arm, people living in tents and crying. The next big earthquake followed on 12th May. Again people died and houses have been destroyed. That time the media didn't spend so much time to show it and now it nearly disappeared in the news. But the problem in Nepal remains. 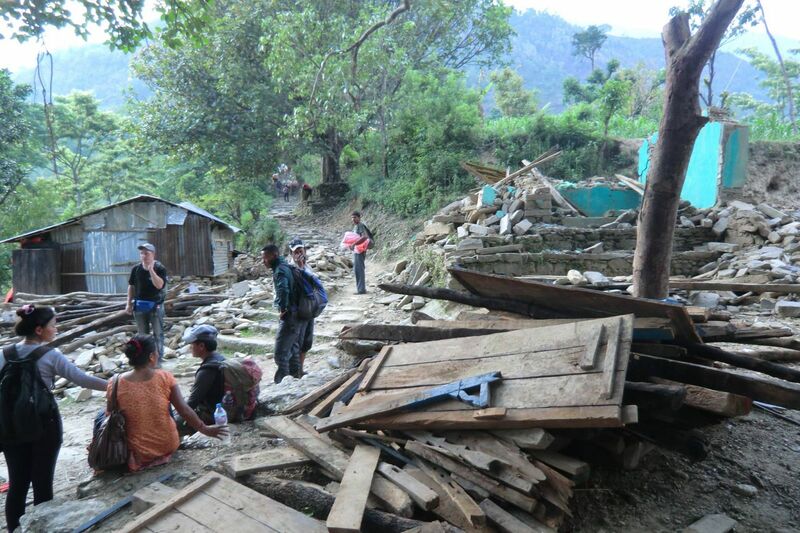 Many of them lost their houses and family members and live in very bad condition now. And the tourists don`t come because they got scared by the horrible news. The destruction concentrates on the villages. The capital Kathmandu and the region in the south seem very normal now and it is not dangerous to go there. But the people in the villages need help. 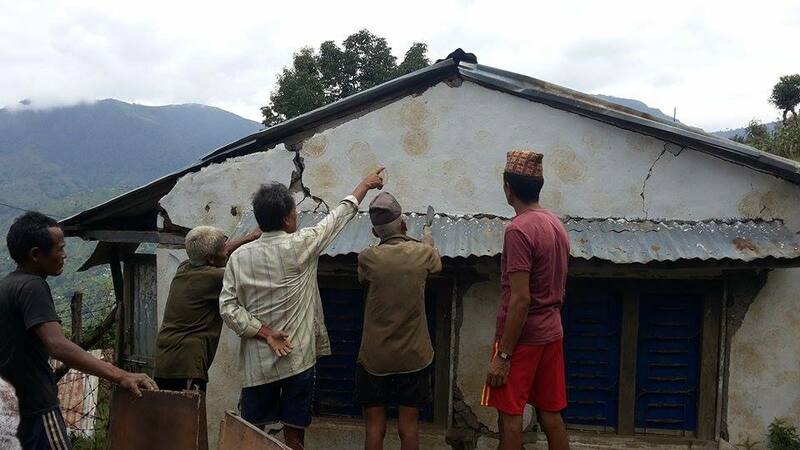 Many of them lost their houses and they don't have the money to rebuild it. In this project you help especially in the village Gurgaon in Sikre which is totally destroyed. 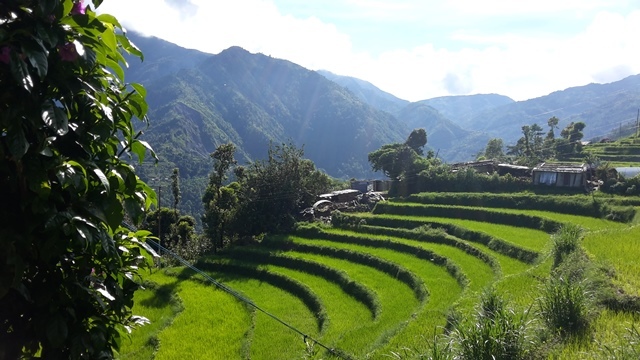 This Gurung village is located in the district Nuwakot, near Kathmandu. Right now we are rebuilding the school there. One of the 2 buildings is still standing but the walls inside broke down, materials like white board, forms and tables are destroyed and it has to be painted. The second building is completely destroyed and the students have class in 2 temporary shelters now which we built directly after the earthquake. These don`t have windows and water comes inside, so we plan to build this building new. Volunteers help to carry the stones for the walls, compound plaster and put it on the walls, paint the whole building, fix the white board and put the tables inside. There is a lot of work to do. 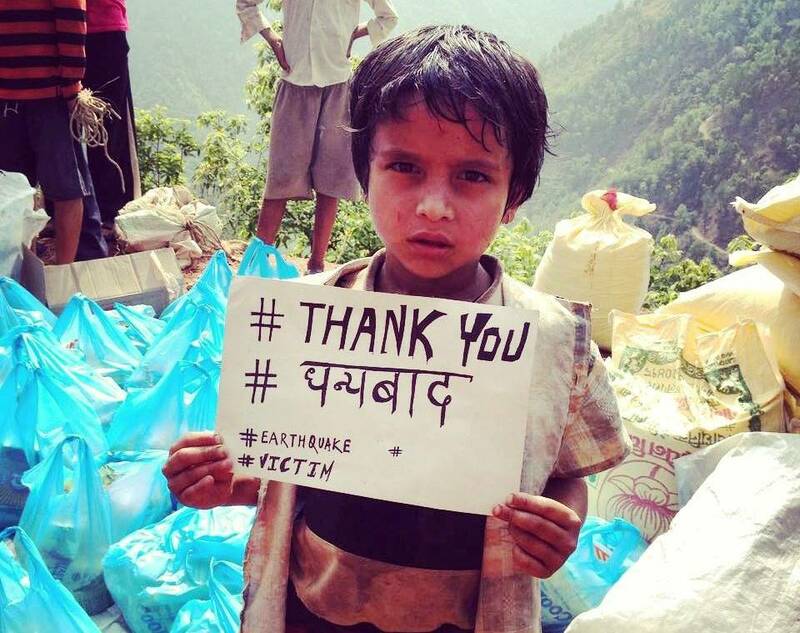 If necessary you will also help to transport clothes, food and other necessary things to the village. The living condition in Sikre is very low. 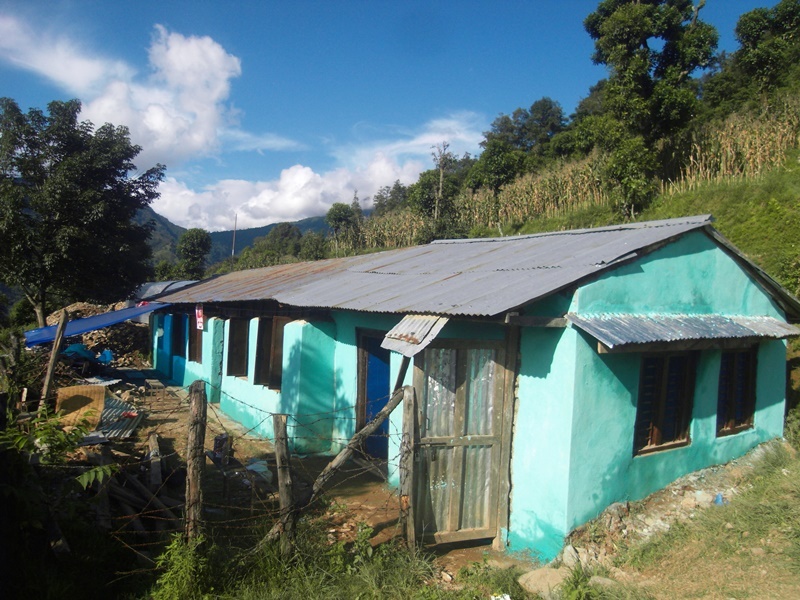 The house in which you will live was rebuilded after the earthquake and is not very big. You have to share a room with the family. They have a toilet near the house and you have to take shower outside. There is a tube where water comes out so you can take a shower with that. It is few minutes far from the house and there only come very less people so you can take a shower in swimming clothes with the beautiful nature around you. During your stay you can also join with the family who works on the field every day and get to know the village life. The village is very calm and during your free time it is great to just relax or go hiking on the paths around the village. When the weather is good you can see the high mountains of the Himalayas in the distance. A representative of our company welcomes you at Tribhuvan Airport in Kathmandu and transfers you to the host family in Kathmandu. Today is no program, so you have time to rest and recover from the long journey. Today in the morning you have a Yoga Lesson and after breakfast language and culture class. You get to know something about the traditions in Nepal and learn little bit of the lanugage, so that you are able to talk a few words in Nepali. Your family will be happy! Thereafter you go for sightseeing in Swayambunath, the "Monkey Temple" of Kathmandu, a buddhist pilgrimage place with a small stupa. Then you go to Thamel a quarter in Kathmandu, where you find several shops, restaurant and cafes, a great place for buying some souvenirs or going out for eating. Today in the morning you have again Yoga and language class. After that you visit Pashupatinath. It is an important pilgrimage place for Hindus and a lot believers from India come there every week. There are lots of temples and at the shore of the holy Bagmati River, the believers burn there dead relatives. Then you go back to the big stupa of Bodhnath, which is also known as little Tibet. The stupa in Bodhnath is the biggest buddhist stupa in the world. You meet innumerable tibetan people there who orbit the stupa while praying. Bhaktapur which is located in the east corner of the Kathmandu Valley is an ancient Newar city about 8 miles far from the capital city Kathmandu. It was the largest of the three Newa kingdoms of the Kathmandu Valley, and the capital of Nepal during the great "Malla" Kingdom until the second half of the 15th century. It is famous for its rich culture, temples, and wood, metal and stone artworks. In the afternoon you will visit the big Changunarayan Temple and then go back to your house. Bhaktapur as well as Changuarayan are listed as World Heritage Sites by UNESCO. Today in the morning you have free time. If you want you can visit Thamel again or make a trip to Kirtipur, which is only about 45 minutes away, a small town from where you can see the mountains if the weather is good. In the afternoon about 16 oclock you have a Momo Cooking Lesson. Momo is a traditional tibetan food. Today you go with a guide to the village Sikre. It is possible to go there by foot (about 5hrs) and also to drive in jeep and then walk about 1 hour to the village. It was totally destroyed by the earhquakes. It depends on the condition of the road how long it takes you to reach the village. You will arrive in the afternoon and have time to discover the area or go swimming in the small river. Today your work starts. 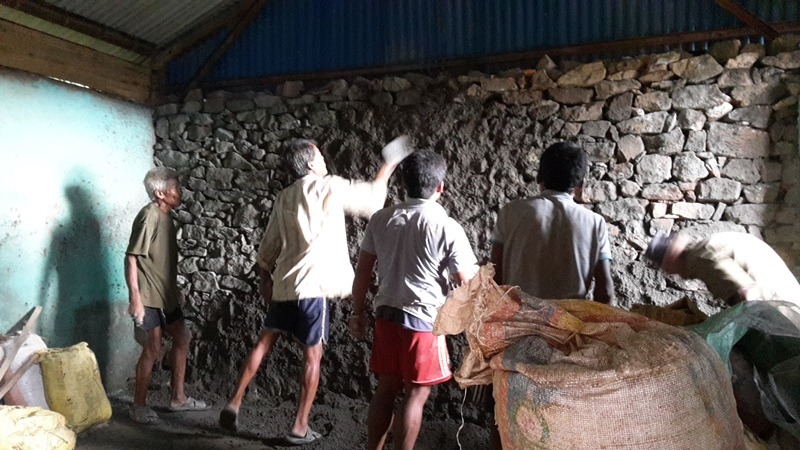 You help to carry stones for the walls, mix plaster, paint the building, fix the white board, etc. You have also some time to join the family with their work on the fields. It is great to see how they live there. The program ends on a Friday, so please choose a Friday as end date and book your flight so that you fly back on the following Saturday or Sunday..
Help to rebuild the school and houses in Sikre accompanied by friendly people and a great panorama.